The first Joya Red reviews are in! We recently launched our newest cigar line, the vibrant medium bodied Joya Red. The industry’s specialized media, bloggers and magazines, got their hands on some samples and are already buzzing about it. Check out what the experts had to say about the rediscovery of Joya! “The JOYA RED tastes almost nothing like any of the rest of the cigars that Joya de Nicaragua makes, and that is most assuredly a good thing. It is exceptionally well balanced, with a great dark cocoa core to the profile that meshes well with the plum-like sweetness that is prevalent throughout the final two thirds and an interesting citrus tartness that shows up every once in a while. Add in the excellent price point and the wonderful draw on all samples, and this is a winner for Joya de Nicaragua no matter how you look at it. A lot of people are going to be very pleasantly surprised by this cigar, and I think that is exactly what Joya de Nicaragua was trying to accomplish. 91 points.” Read the full review here. Joya de Nicaragua’s blends are the epitome of a solid cigar. Each and every blend they produce is high quality and the Red is just another example of this. The cigar carries a flawless construction, great flavor profile, excellent experience, all at an affordable cost. The flavors in the Red are bold, complex, and enjoyable while not being overly powerful, nor so complex that they leave you dizzy. This cigar is perfect for the seasoned smoker who really wants a solid experience without the higher price tag, and I really thing the Joya Red is a cigar that most novice cigar smokers should really seek out as it’s the perfect example of a great, premium cigar that won’t break the bank. This cigar, as with most Joya de Nicaragua releases, is box-worthy and will always have a spot in my regular rotation. Read the full review here. 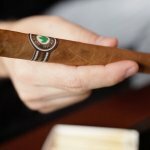 “I am giving this a 94 rating and besides the fact that it will continue to do well for me, the company has really made a cigar that is incredible and done so while returning to what Joya de Nicaragua is all about. Do yourself a favor, pick one up and Rediscover Joya.” Read the full review here. “Epic. The Joya de Nicaragua Red is a desert island cigar to the max. With its complex notes over a medium strength cigar it is a walk off grand slam home run to win the world series. It has surpassed every cigar I have smoked this year for review and it is a definite contender for Cigar of the Year. The key will be consistency and I look forward to reaching into a box once these appear on the shelves of my favorite tobacconist. Score: 95.” Read the full review here. “Already there are a number of Joya Red reviews online, and the consensus is acclaim. After smoking several Robustos, I am adding to that praise. This is an excellent blend that will almost assuredly be on many year-end lists of the best smokes of 2014. For now, I’m awarding the Robusto four and a half stogies out of five.” Read the full review here. Smoking time was fantastic at fifty minutes, the burn line was razor sharp full length and the wrapper developed a nice oily gloss in the second half. 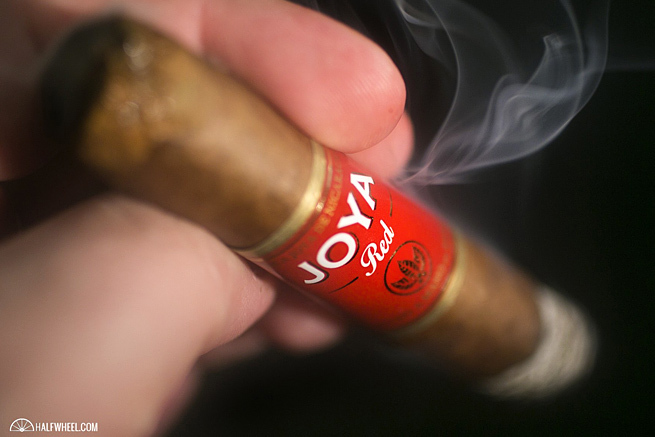 With a price around $5.75 and a flavor mix this complex, the Joya Red is a real bargain. Put this cigar on your to-smoke list! Rated 94. Read the full review here.